Description: Never before released in North America. 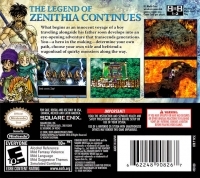 Box Text: The Legend of Zenithia Continues. What begins as an innocent voyage of a boy traveling alongside his father soon develops into an eye-opening adventure that trancends generations. You - a hero in the making - deterimine your own path, choose your own wife and befriend a wagonload of quirky monsters along the way. 02-04-2012 scott Description Never before released in North America. 02-04-2012 scott Box Text The Legend of Zenithia Continues. What begins as an innocent voyage of a boy traveling alongside his father soon develops into an eye-opening adventure that trancends generations. You - a hero in the making - deterimine your own path, choose your own wife and befriend a wagonload of quirky monsters along the way. 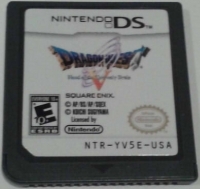 This is a list of VGCollect users who have Dragon Quest V: Hand of the Heavenly Bride in their Collection. This is a list of VGCollect users who have Dragon Quest V: Hand of the Heavenly Bride in their Sell List. 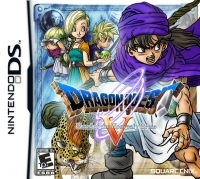 This is a list of VGCollect users who have Dragon Quest V: Hand of the Heavenly Bride in their Wish List.